In our EPIC Club this month we will continue our exploration and review of the features within our Top-of-the-Line Designer EPIC. 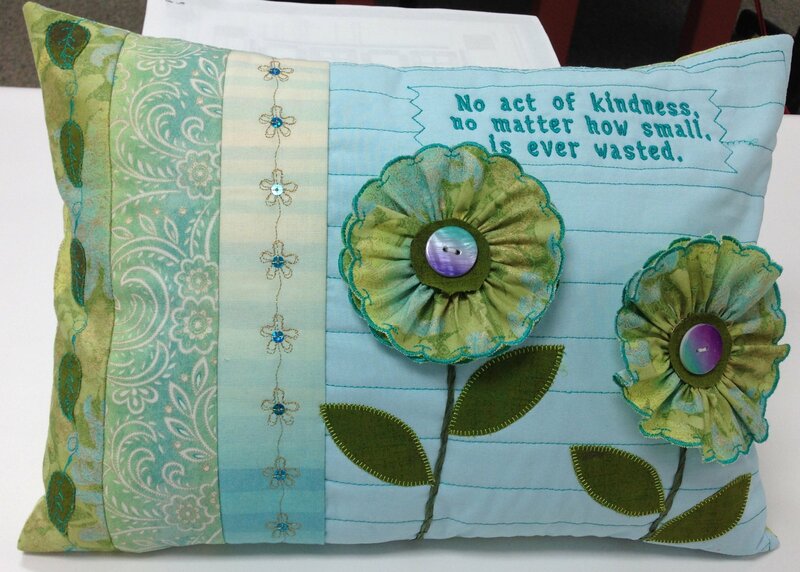 In our club this month (April) we will be completing our Garden Party Pillow that we began working on in March. We will be using several different techniques to complete this fun decorative pillow. In addition, we will be exploring some of the wonderful quilting features within our machine to assemble our pillow and will create a design element on the pillow zipper.